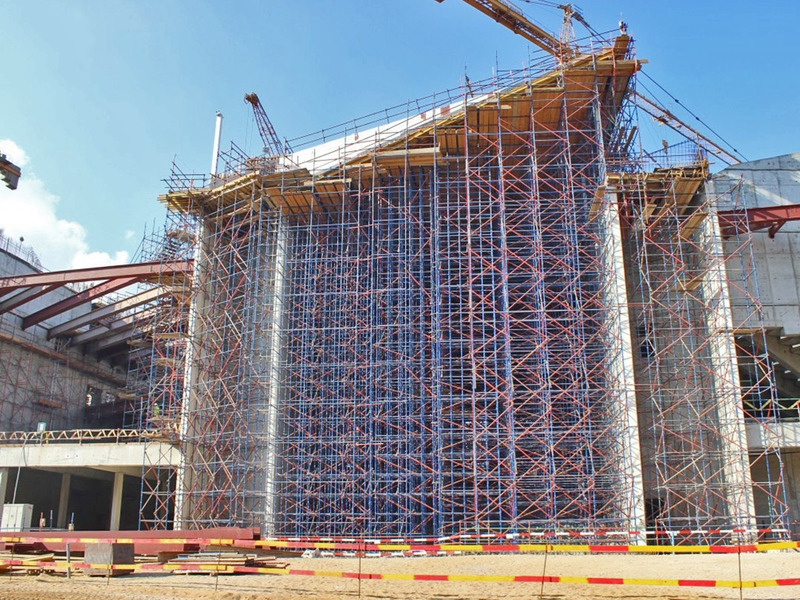 The Cuplock system is a complete system that provides access scaffolding and formwork slab support. 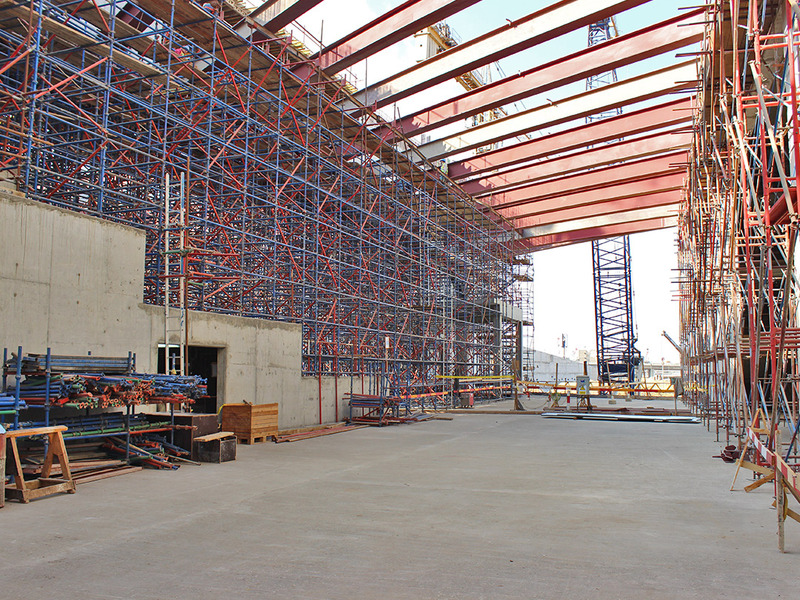 This formwork slab support can be used in a wide variety of applications from light to heavy duty scaffolding and shoring for buildings and other civil engineering work. In addition, no loose fittings are required. A hammer is the only tool required for erection and dismantling of the system. Several accessories ensure the adaptability of the system to a wide variety of applications. The standard is the vertical member of cup lock system. It is made from high grade steel tube with outer diameter of 48.3 mm and thickness of 3.2 mm. A series of bottom cups are welded at nominal 500 mm centers and free top cup to ensure providing a safe connection at any direction for the horizontal ledger attachment. Cup-lock vertical standards vary from 0.5 m to 3.0 m.
The ledger is the horizontal member used to connect the standards in both the longitudinal and transversal directions. It is made of the same vertical tube. They are welded together to blade the ends and fit in the bottom cup located in the standard. Ledger sizes vary from 0.6 m to 2.4 m.